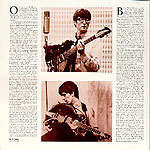 This album, two record set, came in a double LP cover, laminated both in and out, and the pockets for the records opened at the side. 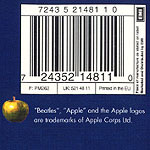 kind permission of Apple Corps Ltd, Apple/Beat Pubs, BBC and LFI. 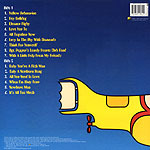 BACK FRONT LABEL --> Click! 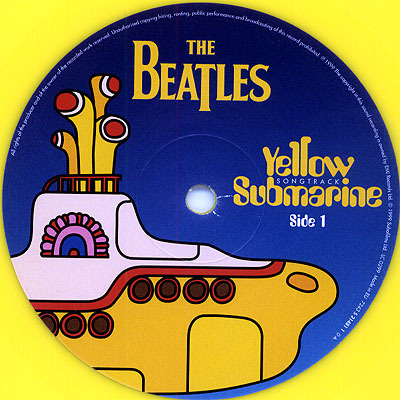 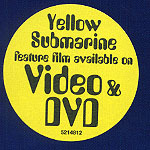 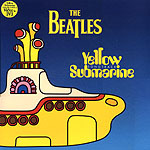 with a yellow sticker with "Yellow Submarine features film available on Video & DVD" on the front cover. 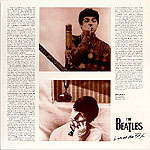 Apple Records + EMI Records Ltd. 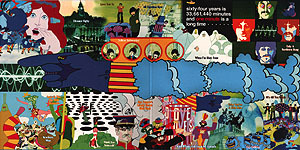 It was remixed by Peter Cobbin.